Your meeting room is likely to be a vital area in the running of your business. It’s where you gather staff together for training sessions and brain-storming, and it’s also where you meet valuable clients and shareholders. 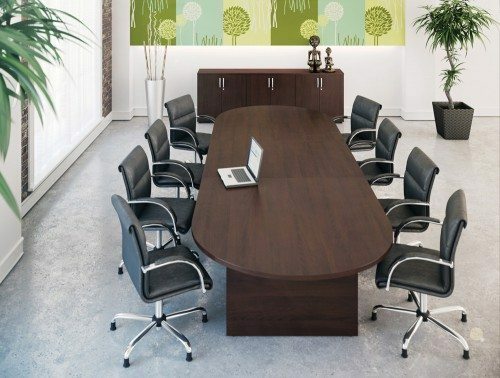 As a result, it’s important to invest in a boardroom table that establishes your business in the best possible light, whilst also offering functionality and durability. Our range of high-quality conference room tables will surely help you make the best impression possible when it comes to holding meetings. 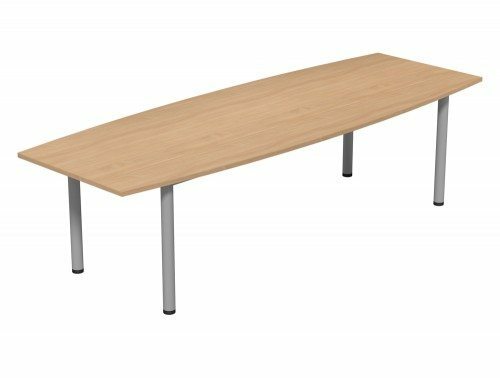 Radius office Furniture offers an array of meeting room tables for sale that are professional, stylish and modern in design. 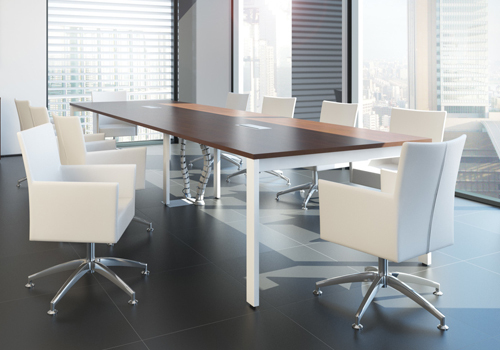 Our selection of boardroom tables ranges from large executive-style meeting room tables, modular meeting room tables, to smaller tables for more intimate gatherings. Different shapes of table tops are offered ranging from traditional circle to an oval, D-end shape and rectangle. All our tables come in a variety of different finishes too. 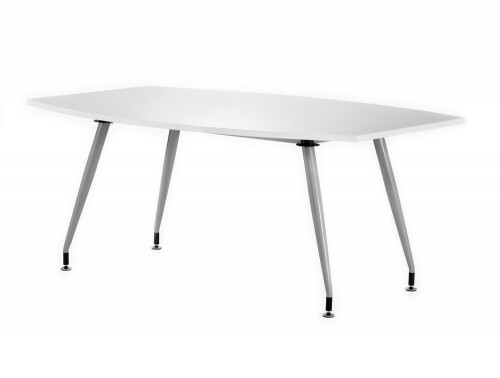 If you’re looking for a sleek, modern look, a glass-topped table is a chic addition to your space or you can choose to opt for a high glossed table top in white or black. Alternatively, a more traditional wooden finish creates the right note of professionalism. 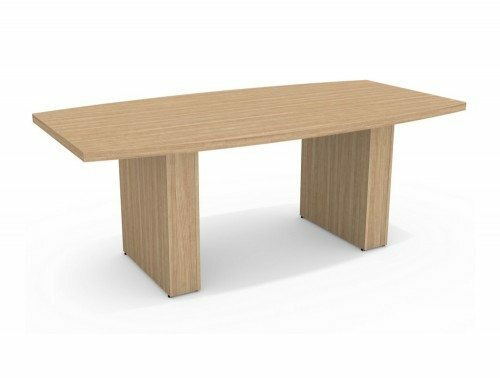 We have wood-style meeting room tables in beech, oak, cherry, walnut, maple and chestnut finishes. 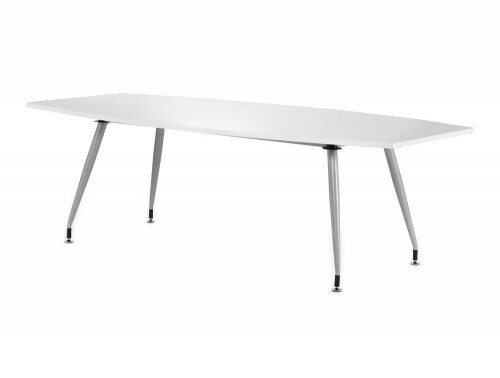 Different leg styles are offered within our selection of meeting tables. You are spoiled for choice between a simple trumpet leg design, a panel leg base, an arch leg, tubular legs or A-frame legs. 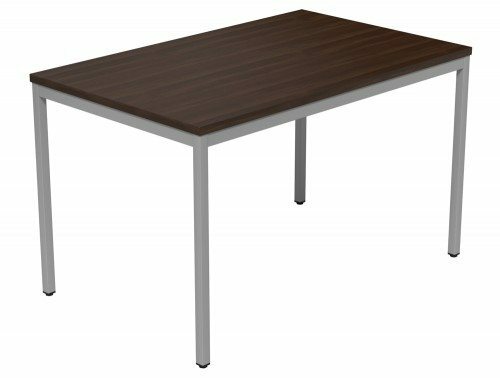 The leg finishes in our meeting room tables for sale can come in a wooden finish, metal colours (white, silver or black) or in chrome detailing. 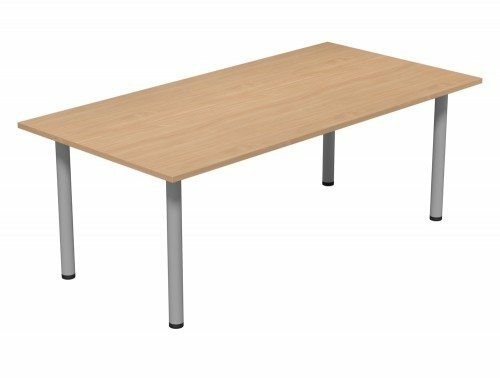 The modern conference tables in our collection are offered with a time warranty policy, meaning that its quality and performance is guaranteed during the specific period of time stated. 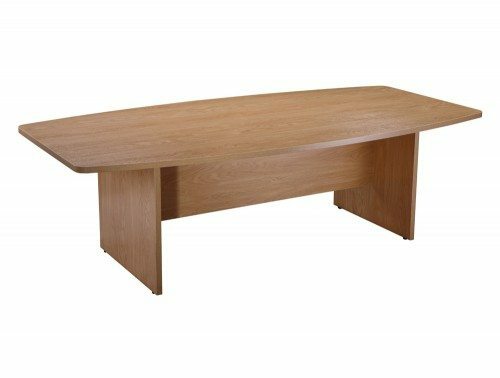 Alongside this, we also source our boardroom tables from leading manufacturers in Europe including Profim, Balma, Arthur, Sonix, Quando and Buronomic. These reputable furniture makers help us ensure that you are getting the best quality for your money. 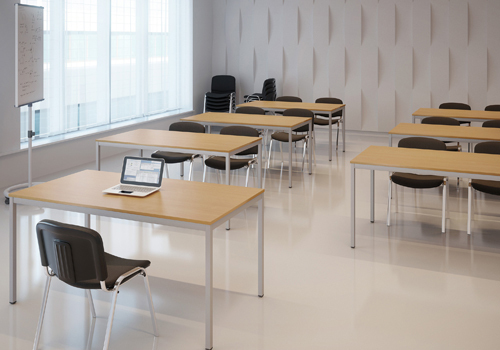 Meeting room tables need to perform a variety of functions. They must be durable, practical and well suited to their purpose. However, they also need to reflect your business well and enhance your brand. We have a wide range of designs in different shapes, sizes and finishes to accommodate for your specific needs and help enhance your brand image. 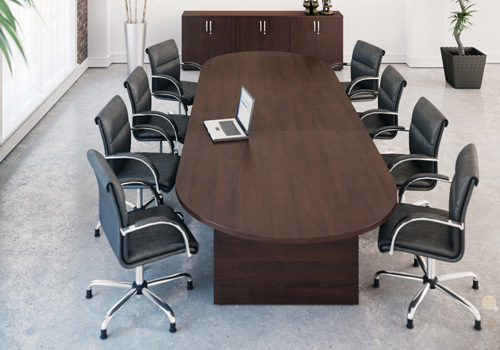 We have a wide selection of large executive-style meeting room tables. 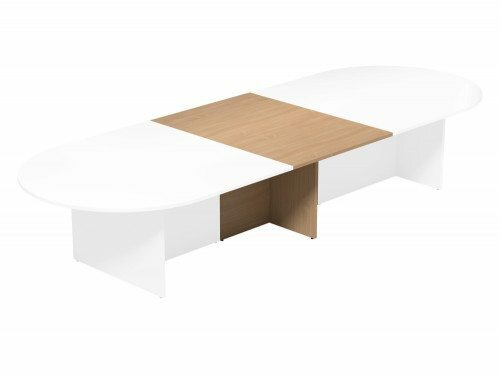 It’s important to get a boardroom table that allows for easy communication, whilst presenting the right image of your company, which is precisely where our tables can help. 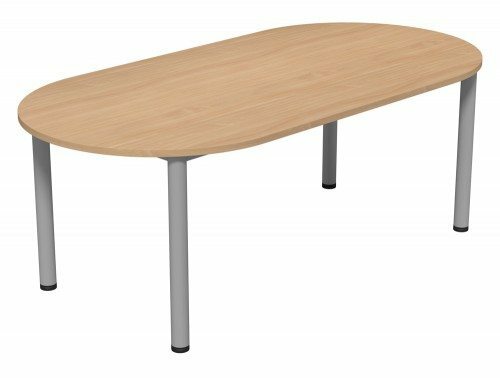 We have a D-end shaped modular table top on offer which creates a softer, more contemporary look for the workplace, without losing any important desktop space. It is ideal not only for offices but for reception areas and canteens. We also have barrel-shaped table tops for sale. 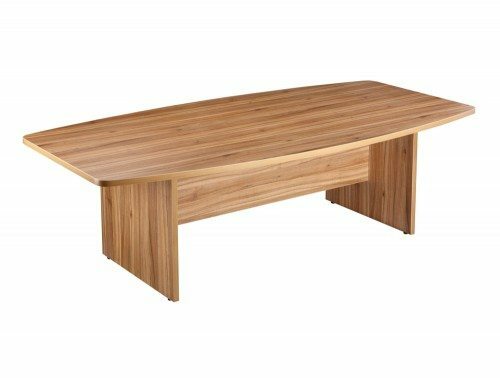 The barrel boardroom table shape is an excellent tabletop design for executive offices and meeting rooms. 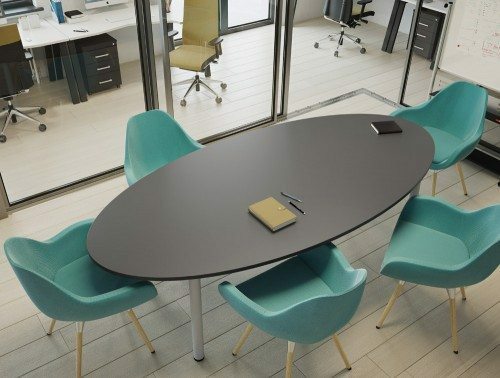 With its curving sides, it creates a more collaborative working environment, whilst remaining attractive and professional looking. 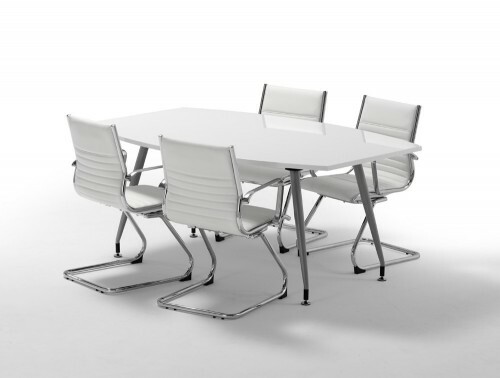 Our catalogue also offers an elegant, modern and fully modular meeting room table designs. Add on units are available to create any shape of sizes you please. These tables are offered with optional modesty panel and cable channels/power modules. 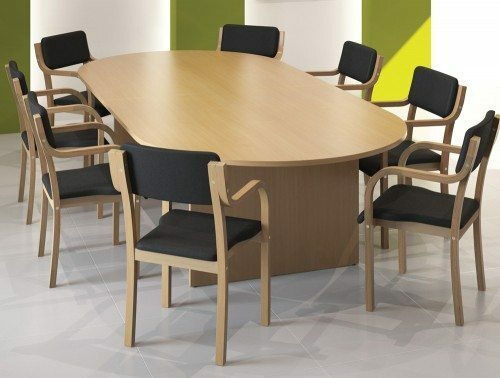 For more intimate settings and tighter space, a small meeting room table design would be ideal. 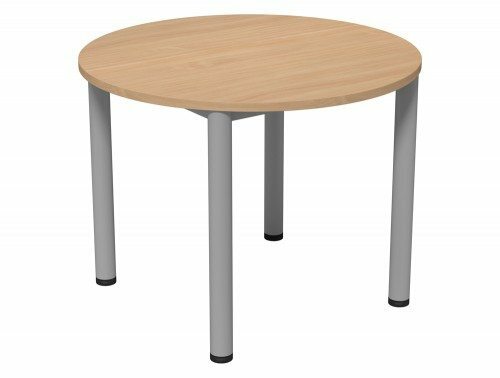 We offer a selection of small rectangular wooden tables as well as circular shaped tables, perfect for breakout areas and canteens. 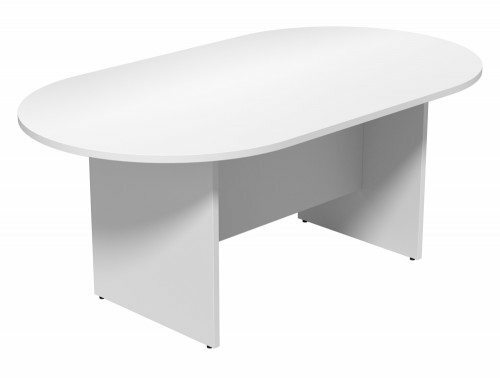 Furthermore, we have an array of white meeting room tables which are a popular colour choice by many as it creates a clean and sleek look. 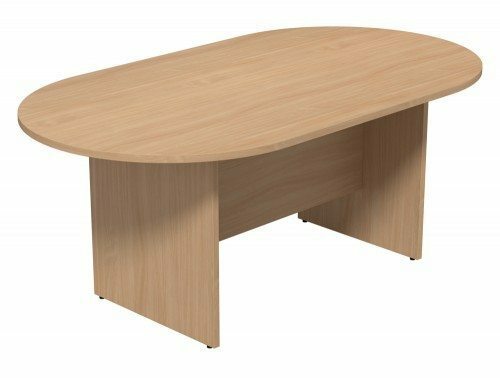 We understand that there may be a budget in place when it comes to purchasing furniture, that is why we offer a wide selection of office meeting room tables to accommodate everyone’s needs. 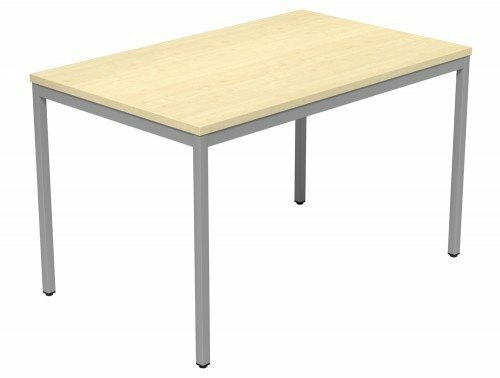 If you’re working within a budget, we have some cheap, affordable conference tables, which still offer a high standard of quality, without breaking the bank. 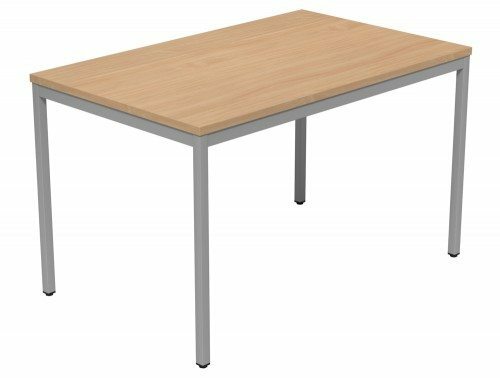 Alternatively, you can browse our extensive selection of used meeting room tables online. 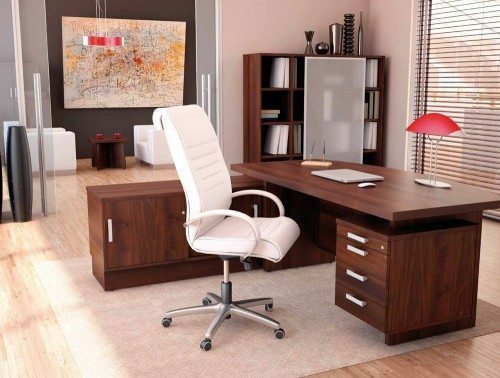 We’ve got many big-brand names in our used office furniture collection, for a fraction of the retail price. If you’d like to find out more about our range of Meeting Room Tables or discuss your requirements, simply request a callback.